Amazon.com Inc. continues to lead the online retail market as a result of integrating business challenges, such as the ones identified in this Five Forces Analysis, into the firm’s strategy development. Michael Porter developed the Five Forces Analysis model as a tool for the external analysis of business organizations. In this case of Amazon, the external factors define the conditions of the e-commerce industry environment, with focus on the online retail market. However, other markets are also considered, as the company has operations in consumer electronics, digital content distribution, and online services, such as cloud computing. Amazon.com Inc. remains the biggest player in the e-commerce market. To keep this industry position in the long term, the company must regularly evaluate the external factors in the online and non-online industry environments, such as through tools like the Five Forces Analysis framework. The forces of competitors like Apple, Google, Microsoft, Walmart, and Home Depot can be effectively tackled through strategic formulation that accounts for the influences of the five forces on Amazon’s e-commerce competitiveness. 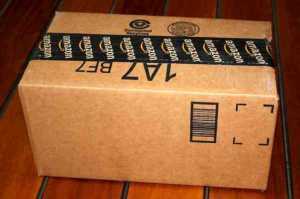 Amazon.com Inc. enjoys the top position in the online retail market. Nonetheless, external factors identified in this Five Forces Analysis indicate possible reduction of market share and business performance because of strong competition involving large multinational retail and technology firms. Amazon’s generic competitive strategy and intensive growth strategies must evolve as the online market develops and expands to include the participation of more companies and customers around the world. Recommendations. Amazon must address the major forces of competition, consumers and substitutes, based on the Porter’s Five Forces Analysis of the business. It is recommended that the company must address the strong force of competitive rivalry by emphasizing competitive advantage and strengths of the e-commerce organization. For example, the company must continue boosting its brand image, which is among the strongest in the industry. Amazon.com Inc. can address the external factors linked to the strong force of the bargaining power of buyers by focusing on service quality. For instance, counterfeit reduction can improve customer experience in using the company’s e-commerce website. Another recommendation is for Amazon to counteract the threat of substitution by making its service more attractive. For example, the company must continue enhancing the usability of its website to optimize user experience. These recommendations aim at increasing Amazon’s competitiveness and potential for long-term success in the online retail industry environment. Retail firms are generally aggressive, and they exert a strong competitive force against each other. For example, Amazon.com Inc. directly competes against giants like Walmart, which has a significant and expanding e-commerce website. Amazon also experiences the strong force of substitutes because of their high availability. For instance, Walmart’s physical or brick-and-mortar stores are substitutes to Amazon’s online retail service. Other brick-and-mortar bookstores and smaller retailers also compete against Amazon. Furthermore, low switching costs impose a strong force on the company. Low switching costs correspond to low barriers for consumers to transfer from one retailer to another, or from one company to a substitute provider. Based on the external factors in this aspect of the Five Forces Analysis of Amazon, competition must be a strategic priority to ensure the company’s long-term competence. Consumers have access to high quality information regarding the services of online retailers and the products they sell. This external factor affects Amazon.com Inc. in terms of the ability of customers to find alternatives to the company’s online retail service. In relation, the low switching costs make it easy for consumers to transfer from Amazon to other firms, such as Walmart. Also, the high availability of substitutes further empowers consumers to shift from one retailer to another. For example, instead of purchasing on Amazon’s e-commerce website, a customer can easily go to one of Walmart’s stores, which are strategically located throughout the United States. The external factors in this aspect of the Five Forces Analysis show that Amazon must consider the strong bargaining power of buyers as a major factor in addressing business challenges in the online retail industry environment. The small population empowers suppliers to impose a strong force on Amazon.com Inc.’s e-commerce business. For example, changes in prices of equipment from a small number of large suppliers could directly impact the company’s online retail operational costs. However, the moderate forward integration limits suppliers’ actual effect on Amazon. Moderate forward integration equates to a moderate degree of control that suppliers have in the sale of their products to firms like Amazon. Moreover, the moderate size of most equipment manufacturers limits their influence on the company. Based on this aspect of the Five Forces Analysis of Amazon, the external factors emphasize the moderate significance of suppliers as a strategic determinant in the online retail industry environment. Amazon continually addresses the strong force of substitutes, which threaten the e-commerce company’s performance. The low switching costs show that customers can easily transfer from the company to other retailers. For example, consumers can easily decide to buy from Walmart stores or other retail establishments instead of buying from Amazon.com Inc. The high availability of substitutes and the low costs of their product offerings further increase the influence of substitutes against the company. Thus, the external factors in this aspect of the Five Forces Analysis of Amazon.com Inc. show that substitution is among the priorities in the company’s strategies for long-term success in the online retail industry environment. Amazon’s consumers can easily transfer to new firms, thereby empowering new firms to impose a strong force against the company. This condition is due to low switching costs, or the low negative effects of transferring from one provider to another. However, the high cost of brand development in online retail weakens the influence of new entrants on the performance of Amazon. For example, it would take years and billions of dollars to create a strong brand that directly competes with the Amazon brand. In addition, the company benefits from high economies of scale that make its e-commerce business strong. As such, new entrants need to achieve similarly high economies of scale to compete against the company. Based on the external factors in this aspect of the Five Forces Analysis, new entrants are a minor strategic issue in Amazon’s performance in the online retail industry environment. Karagiannopoulos, G. D., Georgopoulos, N., & Nikolopoulos, K. (2005). Fathoming Porter’s five forces model in the internet era. info, 7(6), 66-76. U.S. Department of Commerce – International Trade Administration – The Retail Services Industry in the United States. U.S. Department of Commerce – International Trade Administration – The Software and Information Technology Services Industry in the United States. Wang, X., & Ng, C. T. (2018). New retail versus traditional retail in e-commerce: channel establishment, price competition, and consumer recognition. Annals of Operations Research, 1-17. Zhu, F., & Liu, Q. (2018). Competing with complementors: An empirical look at Amazon. com. Strategic Management Journal, 39(10), 2618-2642. COPYRIGHT NOTICE: This article may not be reproduced, distributed, or mirrored without written permission from Panmore Institute and its author/s. Copyright by Panmore Institute - All rights reserved. Educators, Researchers, and Students: You are permitted to quote or paraphrase parts of this article (not the entire article) for educational or research purposes, as long as the article is properly cited and referenced together with its URL/link. To comply with the GDPR, we do not use personally identifiable information to serve ads in the EU and the EEA.